David Anderson QC, is the official reviewer of counter-terrorism legislation. He was asked by government to conduct an independent review of the operation and regulation of investigatory powers, with specific reference to the interception of communications and communications data. He delivered his report to Downing Street on 6 May, the day before the general election. He has said his review considered safeguards to privacy, issues of transparency and oversight as well as powers needed by the authorities to meet the challenge of changing technologies. I was required by DRIPA 2014, (http://www.legislation.gov.uk/ukpga/2014/27/section/7/enacted) which passed through Parliament in only four days back in July 2014, to conduct an independent review of the operation and regulation of investigatory powers, with specific reference to the interception of communications and communications data, including under RIPA. That review was distinct from my normal function of reviewing the operation of the terrorism laws. As I tweeted at the time, my report was completed and submitted to the Prime Minister on 6 May 2015 – the day before the General Election. A process of security-checking and preparation for publication has followed. Given the size of the canvas that the Review was asked to cover, it will come as no surprise that it turned out to be a substantial piece of work. I am grateful to all who provided written submissions and who met with me in various parts of the UK, Berlin, California, Washington DC, Ottawa and Brussels, as well as to the small team of self-employed persons that assisted with the Review. I am asked several times a day when the report will be published. The short answer is that the Prime Minister will decide, and that I have no privileged insight into the timing. Surprise extension of bill’s scope beyond legislation to modernise law on tracking communications data was agreed only this week. The government is to introduce an investigatory powers bill that is far more wide-ranging than expected, including an extension of the powers of the security services in response to the surveillance disclosures by the NSA whistleblower Edward Snowden. While major or controversial legislative changes usually go through normal parliamentary process (i.e. democratic debate) before being passed into law, in this case an amendment to the Computer Misuse Act was snuck in under the radar as secondary legislation. Privacy International also suggests that the change to the law was in direct response to a complaint that it filed last year. 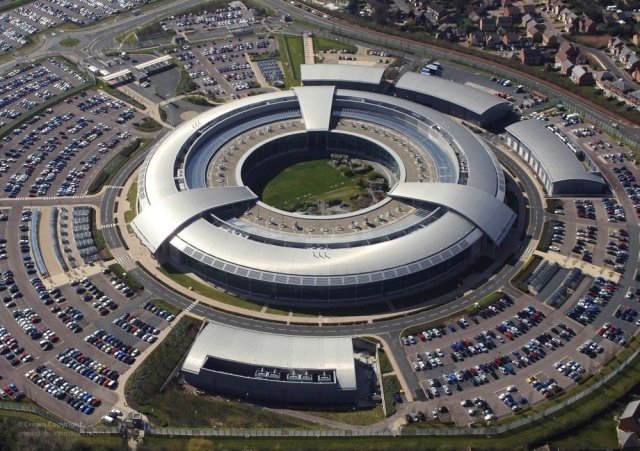 In May 2014, Privacy International and seven communications providers filed a complaint with the UK Investigatory Powers Tribunal (IPT), asserting that GCHQ’s hacking activities were unlawful under the Computer Misuse Act. On June 6, just a few weeks after the complaint was filed, the UK government introduced the new legislation via the Serious Crime Bill that would allow GCHQ, intelligence officers, and the police to hack without criminal liability. The bill passed into law on March 3 this year, and became effective on May 3. Privacy International says there was no public debate before the law was enacted, with only a rather one-sided set of stakeholders being consulted (Ministry of Justice, Crown Prosecution Service, Scotland Office, Northern Ireland Office, GCHQ, police, and National Crime Agency). Despite filing its complaint back way back in 2014, Privacy International wasn’t told about the changes to the Computer Misuse Act until last week; until after the new legislation became effective. The UK government is allowed to do this, of course, but it’s a little more underhanded and undemocratic than usual. According to Privacy International’s legal experts, the amended Computer Misuse Act “grants UK law enforcement new leeway to potentially conduct cyber attacks within the UK.” Following Snowden’s leaks throughout 2013 and 2014, a cynical person might see this new legislation as something of an insurance policy: under the previous Computer Misuse Act, the courts might have found GCHQ’s hacking activities within the UK to be illegal—now they’re on more solid ground.